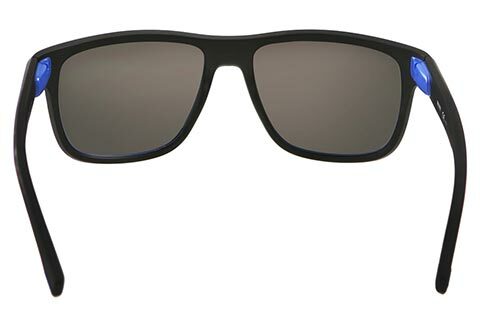 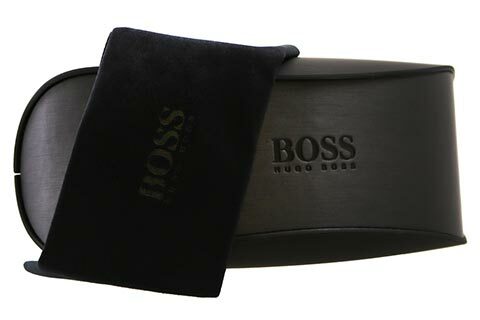 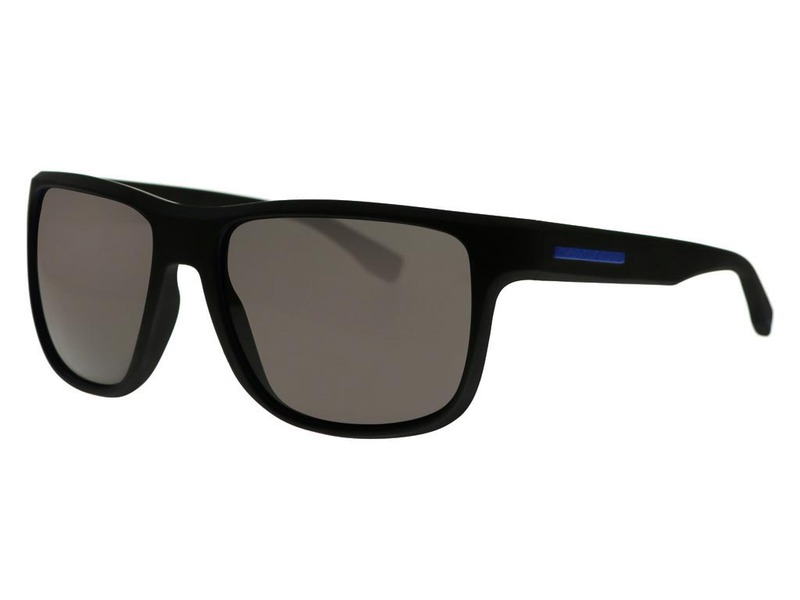 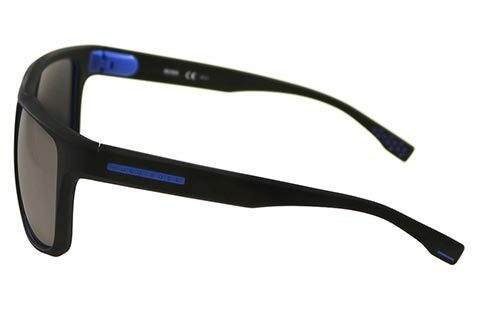 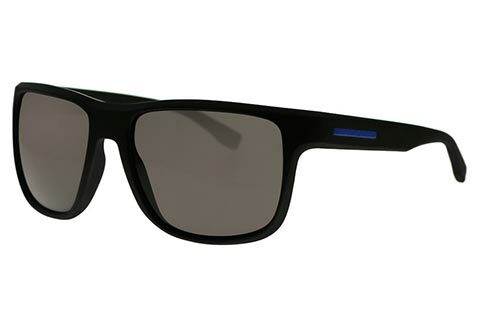 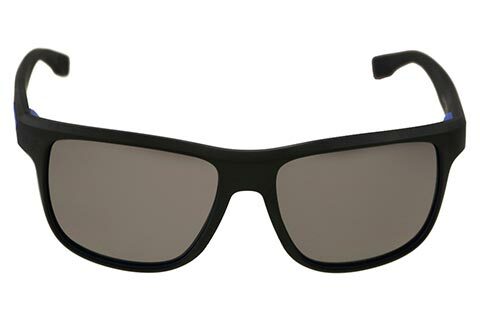 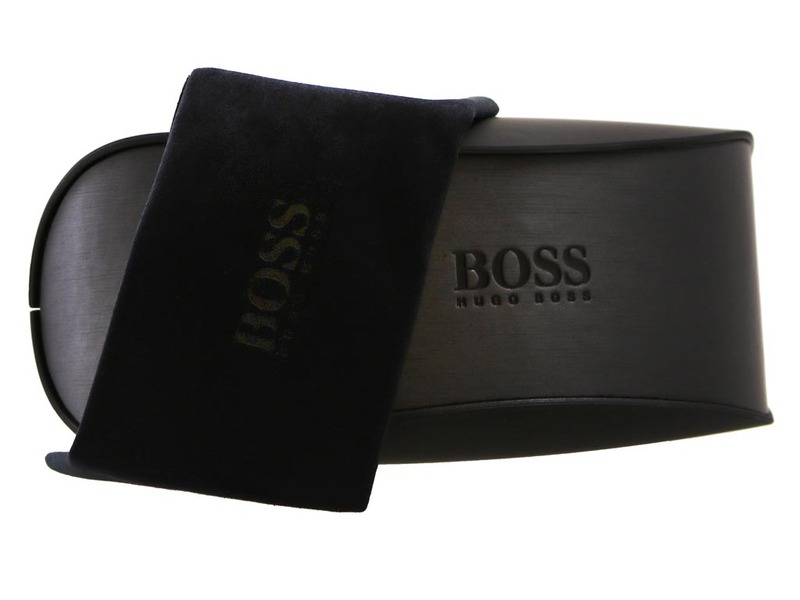 Suave and modern, these BOSS Hugo Boss 0799/S sunglasses for men showcase a wayfarer frame with a sporting edge. 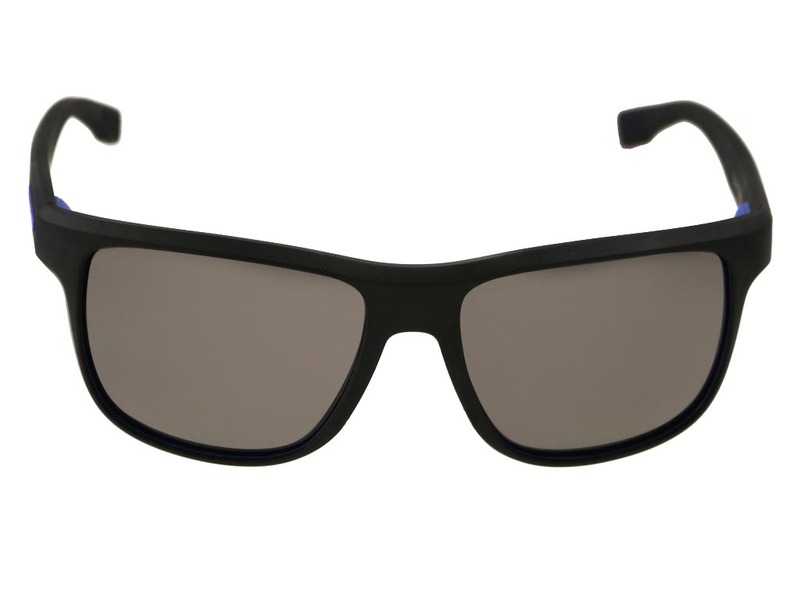 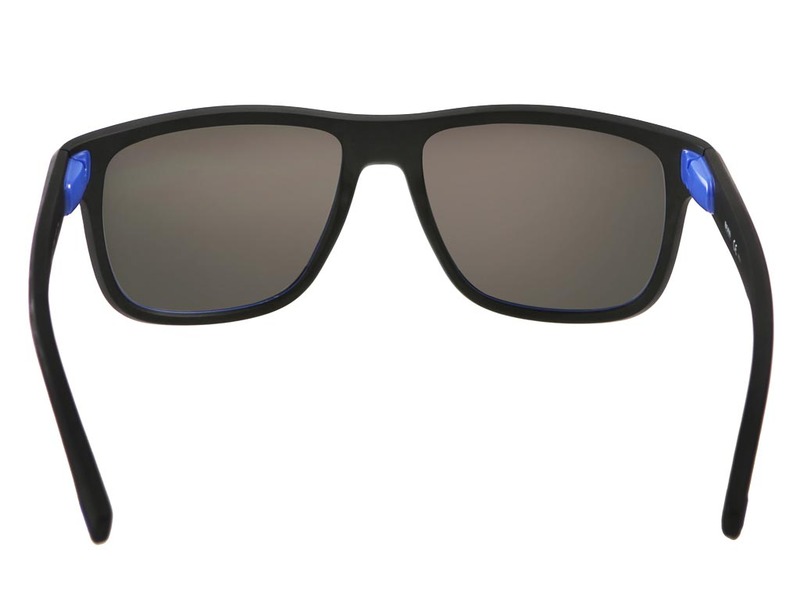 Formed from injected plastic, the frames of these wayfarer sunglasses are durable yet lightweight to wear. 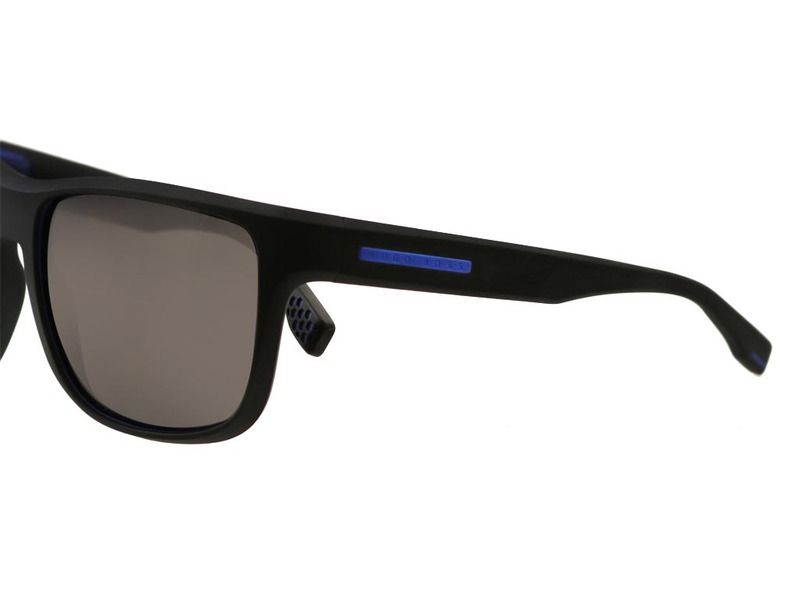 Black print stretches across the frame, complemented by subtle grey lenses that ensure 100% UV protection. 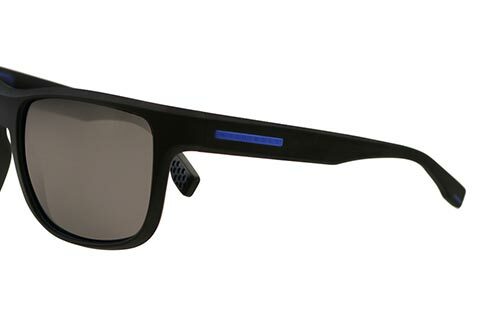 To finish, blue detailing displays the brand’s renowned name on the temples of these Hugo Boss sunglasses. 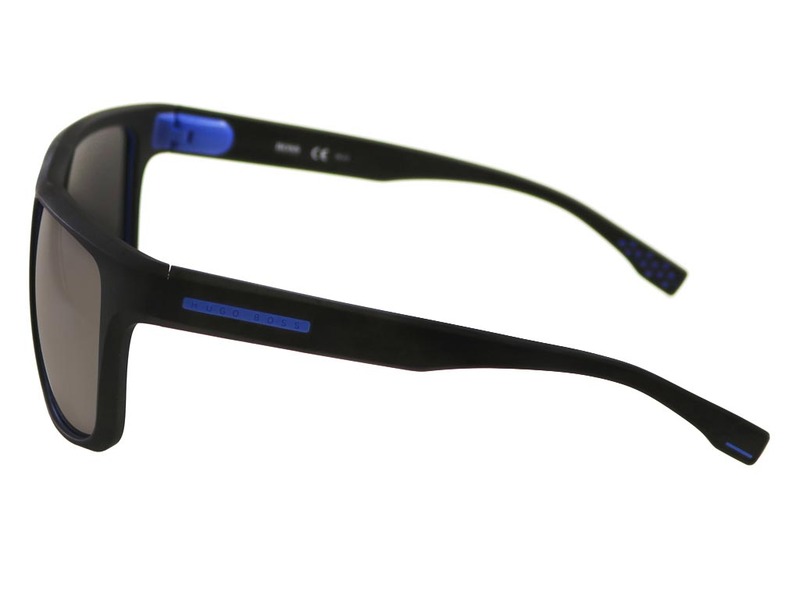 We offer FREE delivery on all orders over €55 at FeelGoodContacts.ie.